Ocean research that seeks to monitor what is happening in the ocean environment—counting fish, assessing food resources, monitoring endangered species included—provides vitally important answers. A company called Saildrone is stepping up to the challenge. 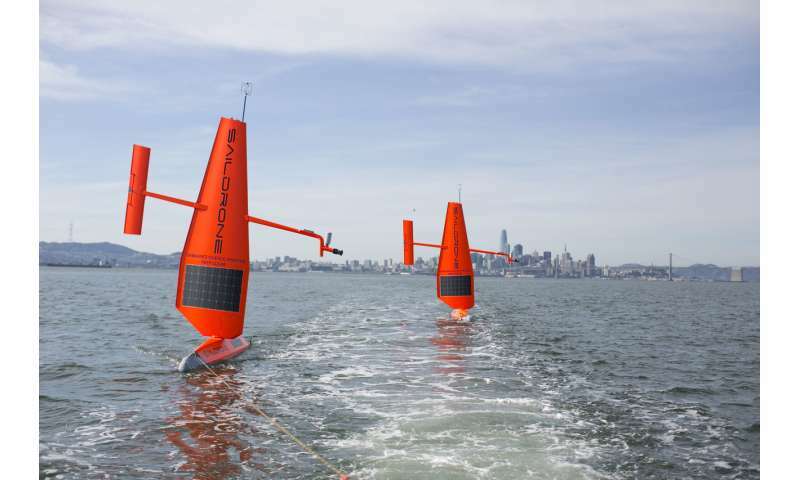 Their vessel, also bearing the company name, is an unoccupied autonomous sailing craft with instruments for collecting data from the environment. 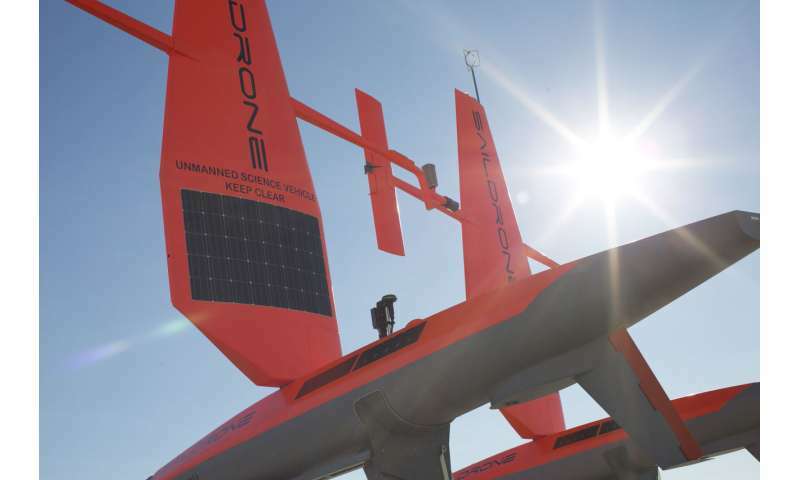 "A fully equipped Saildrone carries a powerhouse of oceanographic and atmospheric sensors, with an ability to get to any part of the world's oceans and perform adaptive sampling," said the company site. Saildrones can be remotely controlled via a satellite connection from anywhere in the world, said New Atlas. The company on its site explained that data is transmitted back to shore via satellite and delivered to users through an API. The crafts sail on wind power. They use solar for the computers on board. They can be at sea for up to 12 months at a time, tasked to assist in informative missions, from stock assessments, to uploading data from subsurface sensors, to responding to marine emergencies. Saildrone is in the news this month and we will no doubt continue to hear about their work. Australia's Commonwealth Scientific and Industrial Research Organisation (CSIRO) has announced a partnership with San Francisco-based Saildrone. A fleet of the unmanned surface vessels will gather data from the Southern Ocean. "The five-year project will see three Saildrones exploring the isolated waters between Australia and Antarctica," said The Engineer. This is "a rough stretch of ocean inhospitable to manned vessels." Such a stretch could well use something like this. Saildrone founder and CEO Richard Jenkins was quoted in The Engineer. "Autonomy is a key technology for accessing the southern oceans, which are understudied due to the rough seas and the limited number of vessels that regularly pass through the region." "CSIRO will collaborate on the development of Saildrone technology beginning with equipping the vehicles with specialised sensors designed to measure ocean carbon, as well as provide biomass estimates in the water column, added to the existing suite of marine and atmospheric sensors," said a CSIRO news release. Last year, Will Yakowicz, writing in Inc., highlighted the advantage Saildrone has in contributing to oceanic research. "Oceanic data is valuable, but for decades the only way to study the world's hostile waters was to deploy a stationary buoy, launch a satellite into space, or send a government research vessel that runs hundreds of thousands of dollars a day to operate—on top of its initial price tag of hundreds of millions of dollars," he wrote. "Saildrone offers government researchers and private companies more easily accessible data on fish and wildlife populations, environmental health, ocean temperatures, weather, and climate change." Fascinating idea, but why do I vaguely feel like I just read a commercial?